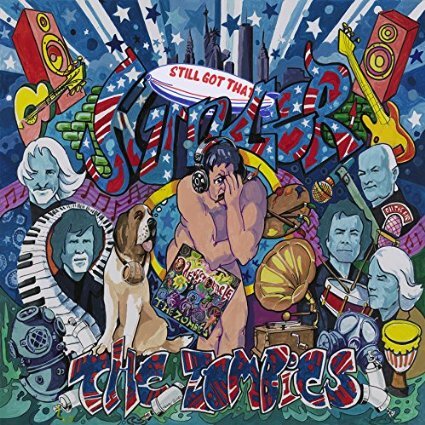 During the mid-sixties, the Zombies were a part of the British Invasion producing such hits as “She’s Not There” and “Tell Her No.” Near the end of the decade they recorded one of the most creative albums of the era, which included the signature song “Time Of The Season.” Odyssey & Oracle combined British sensibilities with the American psychedelic sound. In one of those terrible career decisions, the Zombies disbanded just before the album was released and became a critical and commercial success. The lights went back on a little over 15 years ago when keyboardist/songwriter Rod Argent and vocalist Colin Blunstone reformed the band as a touring and recording entity. New members Jim Rodford (bass), Steve Rodford (drums), and guitarist Tom Toomey (guitar) round out the modern group. The current incarnation of the band has now issued their second studio album Still Got That Hunger. Argent is still a first-rate songwriter and while the new material may not be as cohesive as that of their classic period, overall the music is a modernized version of what one would expect from the band. “Chasing The Past” is a dark, almost gothic rock tune. “Edge Of The Rainbow” and “Moving On” are gritty rock/blues excursions. “I Want You Back Again” is a re-working of a 1960’s Rod Argent composition with some extra textures and layers added. The best track is the biographical “New York,” which is a tribute to their early career and some of their musical heroes. The Zombie has traveled a lot of miles during the course of their career. Still Got That Hunger is an apt name for a band that has issued a relevant and listenable album over a half-century after their creation. If Canada had a city similar to New Orleans, Monkey Junk would feel right at home. They are a basic and gritty rock/blues band with some funky ethos mixed in for good measure. Vocalist/harp player/ keyboardist Steve Harringer, lead guitarist Tony D, and drummer Matt Sobb formed the band during 2008 and hve never looked back. They have just released their latest album titled Moon Turn Red. Their new album is filled with energetic rockers, (Hot Hot Papa,” “Light It Up,” and “Live Another Day”), some funky rhytms (“Love Attack” and “Show Me Yours”), and even a couple of love songs (“Learn How To Love” and “Meet me At Midnight”). 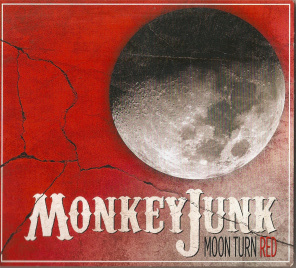 Monkey Junk continues to grow as a band. Their music is more melodic than in the past and they now incorporate tight harmonies into their sound. Moon Turn Red is another leap forward for a hard working band. Literally thousands of musicians have released Christmas albums during the last 50 years. 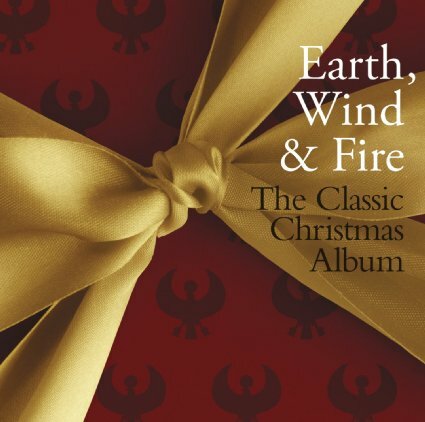 They have included country, rock, pop, easy listening, and jazz artists but perhaps one of the most unique holiday releases is The Classic Christmas Album by the rhythm & blues and funk band Earth, Wind, & Fire. Earth, Wind & Fire was formed in 1969 and while a dozen or so musicians have performed with the band, they have remained relevant and commercially successful for nearly a half-century, selling tens-of-millions of albums and continually crossing over onto the mainstream pop charts. Songs such as “After The Love Has Gone,” “Shining Star,” “Got To Get You Into My Life,” “September,” and “Boogie Wonderland” have become a part of the American musical landscape while propelling the band into the Rock And Roll Hall Of Fame. Given their musical niche, a Christmas album could have been a disaster; but they wisely do not just play the songs but rather adapt the material to their style, which makes all the difference. The traditional hymns are more of a stretch for the band. “Joy To The World,” “Oh Come All Ye Faithful,” “Away In A Manger,” and “The First Noel” center around the vocals rather than the rhythms. On the other hand, “The Little Drummer Boy,” “Jingle Bell Rock,” “and “Sleigh Ride” return the band to the funky rhythms that made them famous. There are also a number of original compositions, and while they may not be eternal holiday fare, they are a lot of fun. “Get Your Hump On For Christmas” is not for the fire place on Christmas Eve but is fine for the holiday dance floor. “December” and “Gather Round” have a more sophisticated approach and are fine additions to the holiday catalogue of sounds. Earth, Wind & Fire took a chance by creating an album of Christmas music. Instead of taking the safe route, they travel in some unexpected directions and create a minor masterpiece. Everyone needs a little funk in their Christmas season. Al Basille’s career is now well past the forty year mark. His recording career began in 1999 with Duke Robillard and his Roomful Of Blues. Since then he has gone on to release a dozen solo albums, written a number of poetry and science fiction books, and become a noted songwriter and vocalist. Best of all his instrument of choice is the cornet, which gives his blues a very different vibe. His latest release, B’s Expression, is another group of original compositions produced by old friend and guitarist Dueke Robillard. While his voice and cornet are upfront, it is his words that set him a part from many of his contemporaries. Known as the “bard of the blues, ” his stories have a peptic quality that not only entertains but makes you think as well. Songs such as “I Didn’t Come Here To Lie,” “Even Jesus Fell,” “Whole Lot Of Good Good Lovin,'” “Never Good Enough,” and “I’m Runnun’ Late” now join his ever-expanding legacy. 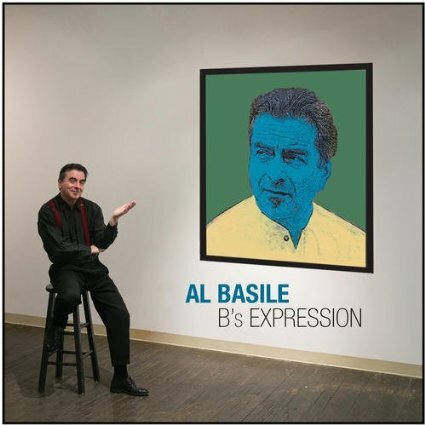 Al Basile has created another enticing albums of creative blues. B’s Expression is well worth not only a listen but an exploration. 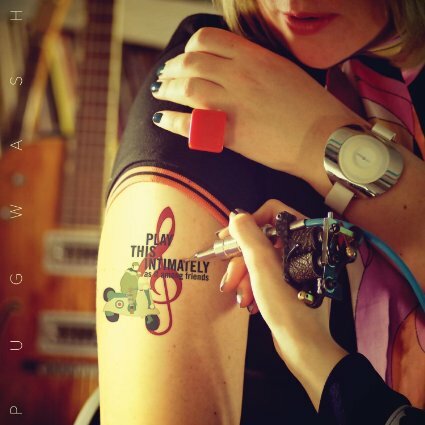 Pugwash was a well-kept Irish secret until last year when they released the career spanning compilation album A Rose In A Garden Of Weeds to a world wide audience. In order to capitalize on their new fame, they have issued a new, and in many ways brilliant, album titled Play This Intimately (As Is Among Friends). Vocalist/guitarist Thomas Walsh, guitarist Tosh Flood, bassist Shaun McGee, and drummer Joe Fitzgerald have created an album of tight harmonies, incisive lyrics, and catchy melodies. It is an album that hangs together well. While their are a number of excellent stand-alone tracks; they add up to a cohesive whole. From the opening rocker “Kicking And Screaming” to the Ray Davies influenced “Oh Happy Days” to the ending creative fusions of “We Are Everywhere,” it is an album by a band exploring their creative boundaries. It may be an intimate album but it is also so a rock and roll album, so play it loudly and enjoy. Now about 15 years into her career, Dulcie Taylor has returned with another album of introspective and intelligent folk/Americana music. Included is some of her many friends including guitarist/vocalist George Nauful and acoustic guitarist/vocalist Tony Recupido. Both contribute the lead vocal for two songs. Thirteen of the fourteen songs are original compositions. Songwriting has always been her strength as she has a poetic quality to her stories. When you combine the lyrics with her simple melodies, it forms an effective and creative mix. A number of the tracks are an American history lesson. She delves back to the American Revolution with “Not Here Not Today” for a salute to the sacrifices of the American Patriots. She then moves to a salute to “Rosa Parks” who was the woman who refused to give up her seat in the white section of a southern bus in 1955. She next progresses to a poignant tribute to Flight 93. It all adds up to wonderful story wonderful story telling on display. “When The Cherokee Roamed” is a song of America’s history from a physical perspective. “Prayers” is a personal history of spiritual connection. “I Take It Back” is a poetic reflection on speaking before thinking. The only cover song, the Supremes hit “My World Is Empty Without You,” may seem like an odd choice but the words match the rest of the songs. Dulcie Taylor is an artist who has her craft figured out. 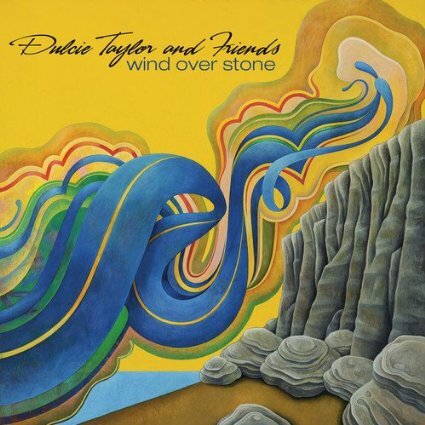 Wind Over Stone is an accurate description of the lightness and solidity of her music. A strong effort from the west coast-based musician. Rooted in gospel traditions, he has stayed true to his heritage but with a unique and creative twist. He has taken songs by the likes of Bruce Springsteen, Eric Clapton, Van Morrison, Johnny Cash, and Tom Waits and moved them from their secular foundations to a bluesy gospel sound. It is an eclectic group of songs that he molds into a cohesive whole. “Heaven’s Wall” (Bruce Springsteen), “The Lord” (Bee Gees), “Lead Me Father” (Johnny Cash), “Gospel Train” (Tom Waits), “Full Force Gale” (Van Morrison), and “Presence Of The Lord” (Eric Clapton) are a sampling of his creative process in action. His voice is very different from the original artists, which give the songs a very different feel. His guitar work is backed by drummer Marco Giovino, bassist Viktor Krauss, and very important for the sound, pedal steel guitarist Roosevelt Collier. Cash’s “Lead Me Father” undergoes a complete transformation and emerges as a bluesy Jimi Hendrix type rocker. “Full Force Gale” is now a gritty southern meeting house performance. The Old Impressions song, “Wherever You Leadeth” is a deep soul piece. 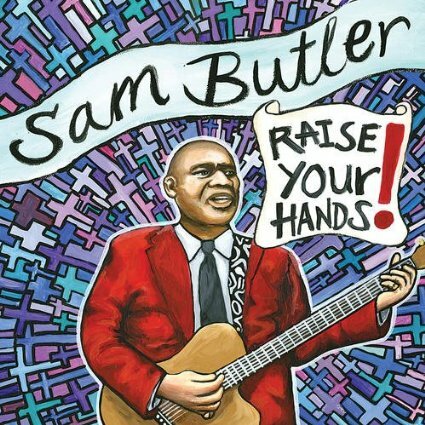 Sam Butler has taken gospel music in a very different direction and in doing so, expanded its parameters. Butler has issued a impressive debut album, which serves to whet the appetite for the next chapter. If your name is Robert Johnson and you are a musician, you need to play the blues. Add in blues guitarist/vocalist extraordinaire Pam Taylor and you have the duo Stolen Hearts. A couple on and off stage, they infuse some southern rock and soul into their music, but at their foundation they sing and perform the blues or dirty southern soul as they like to describe it. Their album is a basic affair as Taylor’s guitar and voice, plus Johnson’s bass, guitar, mandolin, and voice come together to present their ten original compositions. Their lyrics are personal and explore the bright and dark sides of life. “Werewolves (Make Lousy Boyfriends),” “Boy They Gonna Own Ya,” “All I Got Left,” and “Do You No Harm” are examples of their passionate and energetic approach. The album concludes with two live bonus tracks. “Already Alright” and a nearly nine minute cover of “I’d Rather Go Blind” give them room to expand their sound and improvise. 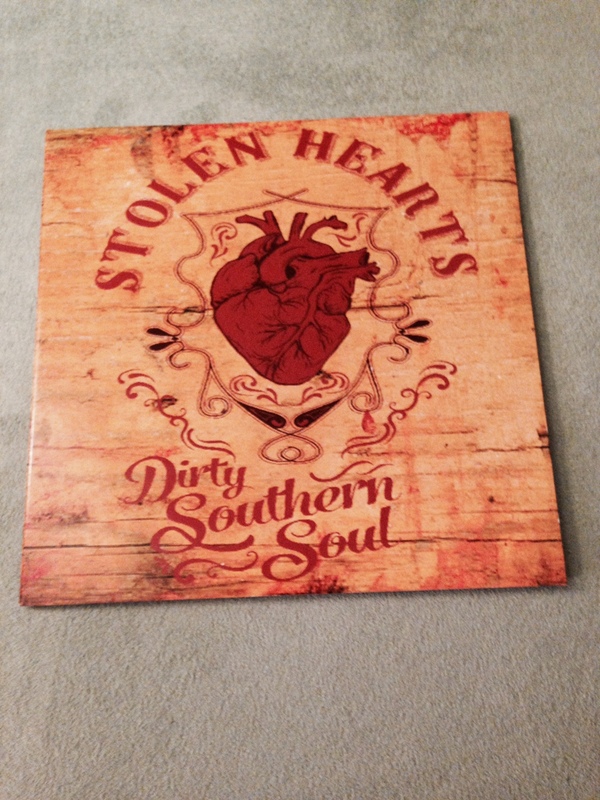 Dirty Southern Soul is an album that grabs you attention and above all entertains. 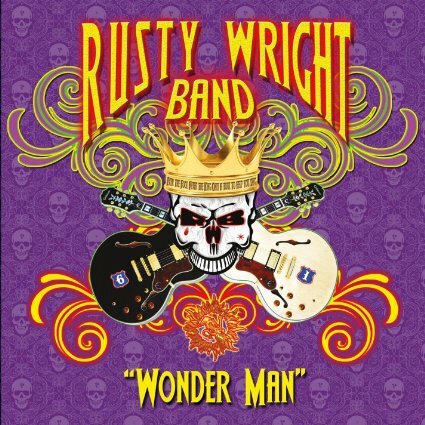 The Rusty Wright Band is on of the finest bands working today. Guitarist/vocalist Rusty Wright, guitarist/vocalist Laurie LaCross-Wright, bassist/vocalist Dennis Bellinger, keyboardist Robert John Manzitti, and drummer Marc Friedman produce a modern and sophisticated brand of blues and southern rock. Their latest release, Wonder Man, finds the veteran band issuing their strongest album to date. The result of years on the road and in the studion, it is a mature release that combines Wright’s writing skills and guitar prowess, the tightness of the band, and soaring vocals. Wonder Man is the latest from a band that continues to evolve and grow. A good listen for any aficionado of modern days blues. Sarah Pierce is a Texas based singer/songwriter who was born in Illinois and has a masters degree in medical science. 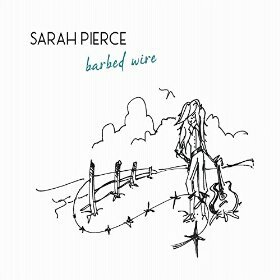 She has now issued a new album, Barbed Wire, which is a follow-up and in many is very connected to her autobiographical Cowboy’s Daughter. Her music is a light and breezy blend of country, folk and pop. It falls into the ever-expanding Americana category but good music is always good music. Her easy going and smooth style often run counterpoint to the power of her stories. “I’m The daughter Of A Cowboys Wife,” “Lightning,” “See You In The Morning,” and “Saddle Up” are examples of her poetic ability and her capacity to create subtle structures for her music. In the final analysis, Barbed Wire is a bright and shiny album that provides an easy listening experience.